A submarine, cruising at a depth of 65 meters, is on a trajectory that passes directly below a ship. If the angle of depression from the ship to the ship is 70 degrees, find the distanece from the ship to the sub when θ = 70 degrees. Round to the nearest meter. I can't exactly choose which trigonometric function should I focus on this math problem. Whenever I open up my notebook after he says anything you know it's going there. Can I see the notebook? My gym teacher tries to trip kids with his hockey stick when we are playing hockey. And there isn't supposed to be tackling, physical fighting, or violence. If he trips me, I'm gonna get him fired. Teachers aren't supposed to intentionally trip student. yes, hemichordates, although closely related to the chordata, are invertebrates and lack any sort of spinal function. does it need to be in decimal or anything then? if it's a mental math thing, you know it'll be between 8 and 9 (sqrt(64) < sqrt(70) < sqrt(81)). other than that, it's just guessing. 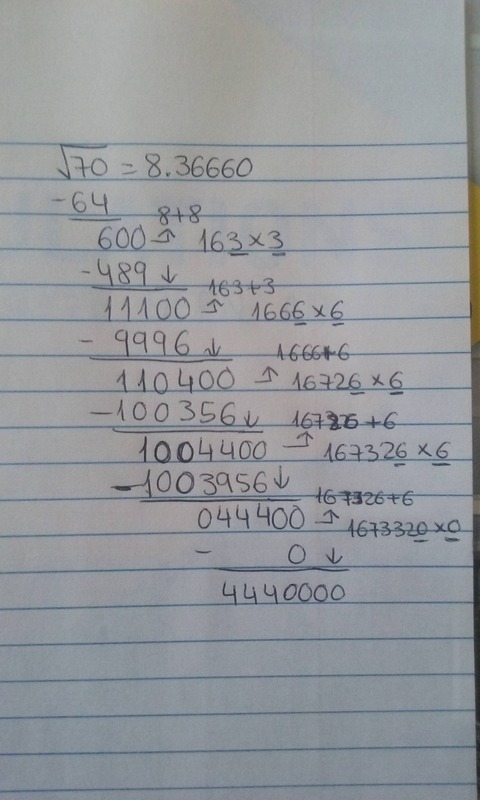 This is the best way to convert radicals to decimals.